Part of the 2019 Jesus Peiro Heritage collection. Suzanne Neville is one of Europe’s leading wedding dress and evening wear designers. Jenny Packham’s distinctive signature style has helped revolutionise the bridal industry. Mark Badgley and James Mischka have been hailed by Vogue as one of the “Top 10 American Designers”. The Jesus Peiro brand are devoted exclusively to dressing brides, positioning themselves as a specialist brand in bridal wear. 2019 'Heritage Collection' Trunk Show. Suzanne Neville Trunk Show. Preview the new 2019 collection. New designer in store now! Castle Couture welcomes Spanish couturier Jesus Peiro. Hidden away in the Courtyard just behind stunning 17th Century Galgorm Castle just outside Ballymena, brides-to-be have told us that the drive up to our boutique feels almost like a rehearsal for their wedding day. The boutique is open, spacious and full of light, so you can see at once the latest beautiful wedding dresses from designers Jenny Packham, Suzanne Neville, Jesus Peiro, and Badgley Mischka to help you choose the dress of your dreams. 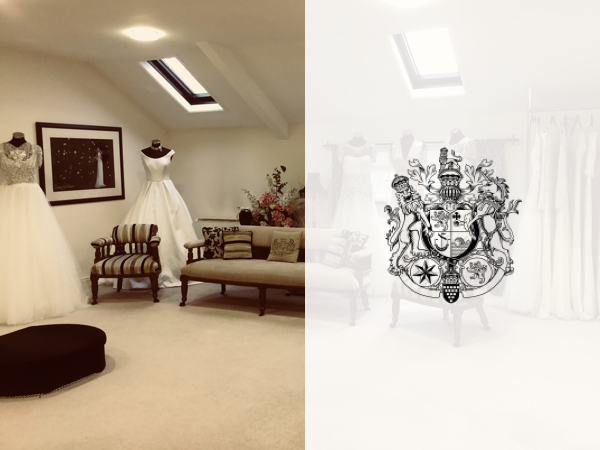 With separate dressing areas for the bride-to-be and bridesmaids, the space is your very own to try on, think and smile.